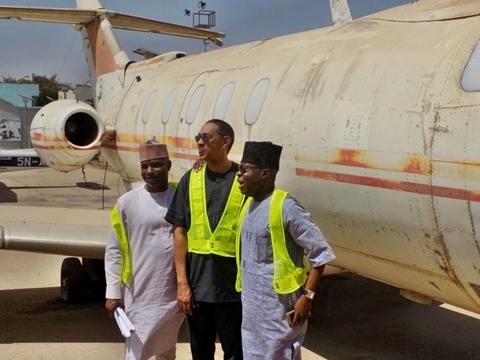 Nigerian businessman and senator, Ben Murray-Bruce, has taken to social media to share pics of the airplane which late Igbo leader, Chukwuemeka Odumegwu Ojukwu used to flee Nigeria to Ivory coast towards the end of the civil war. Ojukwu was a Nigerian military officer and politician who served as the military governor of the Eastern Region of Nigeria in 1966 and later became leader of the then Republic of Biafra. Ben Bruce who posted the photos, wrote; "This is the plane Ojukwu left Nigeria with and fled to Ivory Coast after the civil war. 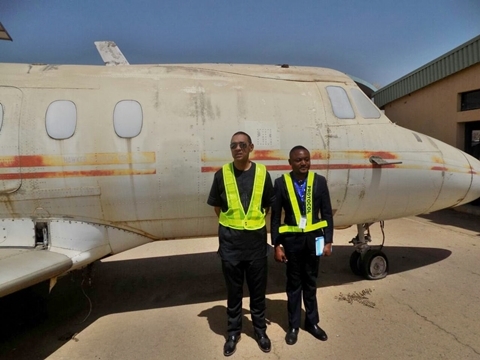 Nigeria should fix this plane & send to a museum."